Visitation will be Friday, Oct. 28, from 4 p.m. to 8 p.m., at The Maresh Funeral Home in Silver Lake, with an American Legion Auxiliary service at 6:30 p.m., a Degree of Honor service at 6:45 p.m., and a prayer service at 7 p.m. Further visitation will be Saturday, Oct. 29, one hour prior to the services at the church. Alice Emma Paul was born April 17, 1927, in Winsted Township, McLeod County, the daughter of Arthur and Lena (Oelke) Litschke. On May 5, 1948, Alice E. Litschke and Eugene J. Paul were joined in holy marriage at St. Paul’s Lutheran Church in Lester Prairie. She was formerly employed as a bookkeeper for various companies, including Hutchinson Industrial Corporation (now HTI), 3M, Mickelson Media and several other local businesses. 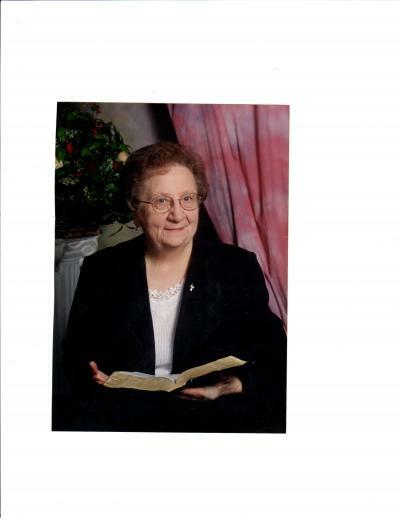 Mrs. Paul was a faithful member of Faith Presbyterian Church in Silver Lake. She also belonged to Silver Lake American Legion Auxiliary Unit 141, music worship committee, Woman’s Association, Degree of Honor, Silver Lake Senior Citizens Club and card clubs. She enjoyed spending time with family and friends. She also enjoyed attending her grandchildren’s activities. She is survived by her son and daughter-in-law, Du-Wayne and Jackie Paul; daughter and son-in-law, Shirley and Kurt Luhmann; four grandchildren; three great-grandchildren; other relatives and friends. She was preceded in death by her husband, Eugene Paul; parents, Arthur and Lena Litschke; sister, Vernetta Bahr; and a brother, Orville Litschke. The family expresses its gratitude to the staff at Cedar Crest Estates and Allina Hospice for all their help and care for Mrs. Paul. The family requests that in lieu of flowers, donations be made to Allina Hospice, Cedar Crest Estates or Faith Presbyterian Church. Arrangements are with The Maresh Funeral Home in Silver Lake. Online condolences may be made at www.mareshfuneralhome.com.